Renovations may seem daunting. 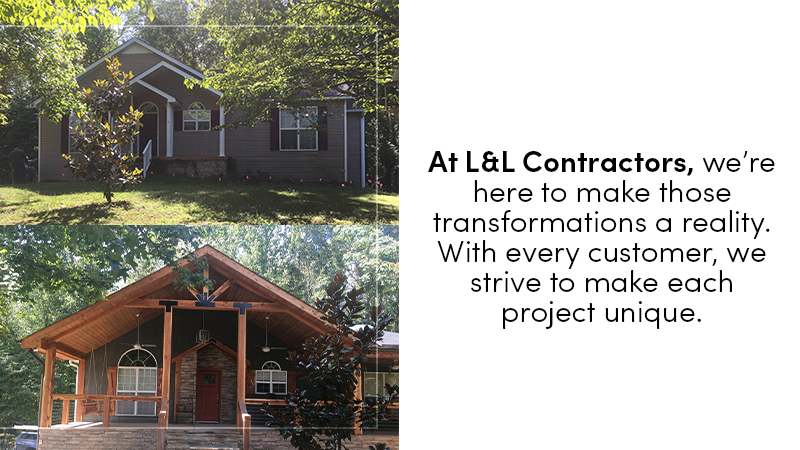 But at L&L Contractors, we’re here to make those transformations a reality. 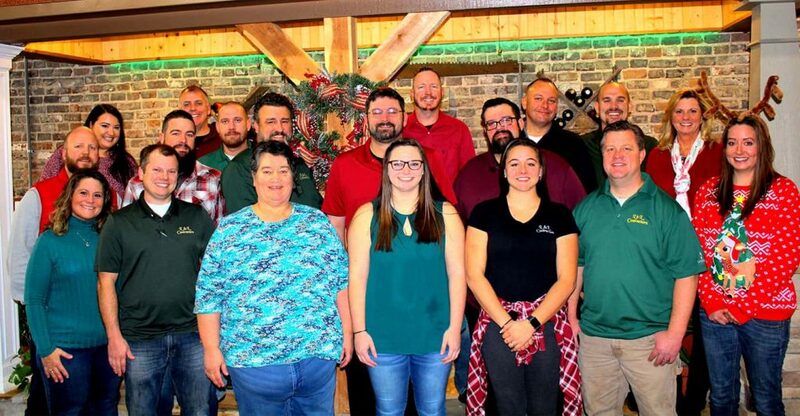 With every customer, we strive to make each project unique. Here’s what we did during our most recent renovation. 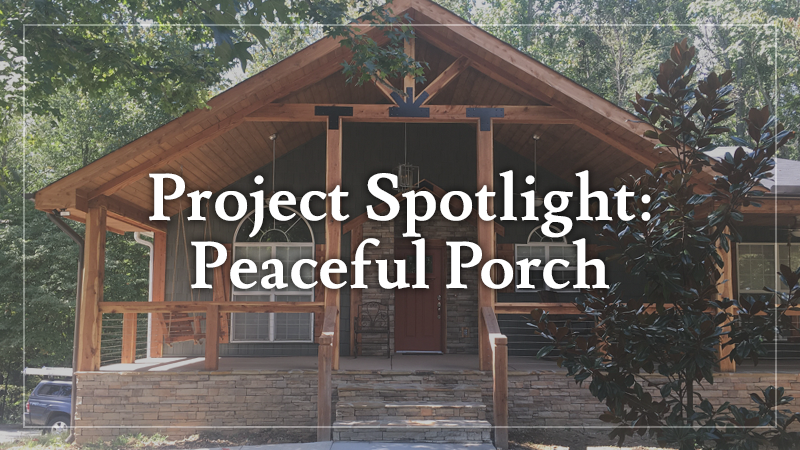 Our customer contacted us with hopes of transforming the exterior of their home by adding a beautiful front porch. They had searched Pinterest and the internet for inspiration. While they had several pictures and ideas, they did not have a solid plan. We scheduled a consultation to discuss their ideas and to determine a design. We created a digital rendering which included cedar and dry stack stone and an open gable featuring large beams and posts. The customer wanted a “secluded get-away” look and feel. The home’s proximity to Tim’s Ford Lake set the stage for such a look. 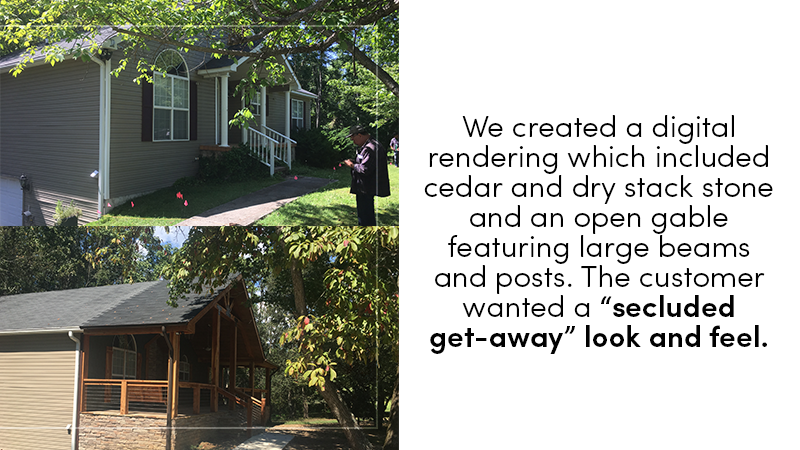 We demolished the existing 3′ by 10′ porch and two small gables to create a blank canvas for the covered front porch. After the concrete work was complete, we installed the stone. The dry stack stone was a significant component of the design. For this project, we used Ledgestone-Canyon Creek fabricated stone. The fabricated stone provided the look of natural stone but at a fraction of the cost. We then began constructing the porch with rough cut eastern cedar which we sourced from a local cedar mill. We used 8″ by 8″ posts and beams to provide the bold look the customer wanted. The posts, beams, rails, trim, and fascia were completed with cedar for a uniformed appearance. For the ceiling, we used 4″ pine tongue and groove boards. The same material was used for the soffit and was stained to complement the cedar and other finishes. For the siding on the front of the home, we used CertainTeed Cedar Impressions® vinyl siding. This is a great product that gives the appearance of real cedar shake siding but with the durability and cost savings of vinyl. CertainTeed offers a wide range of colors for this product line; we used forest green to contrast against the cedar and stone. Our customer knew this was going to be a well-used addition and so there were two must-haves: two swings (a traditional porch swing as well as a bed swing) and an unobstructed view while relaxing on them. To create an unobstructed view yet maintain safety for the customer and their grandchildren, we used a stainless steel cable system. The system came from Cable Bullet and is the cleanest final product we had seen when it comes to cable railings. We reached out to our friends at Rustic River Creations in Chapel Hill, TN to make the custom porch swing and bed swing from eastern cedar to match the other cedar on the porch. In addition to the swings, Rustic River Creations made the cedar window shutters. Sitting on the front porch is a favorite Middle Tennessee pastime. However, because Tennessee summers are warm, we installed three outdoor ceiling fans on this porch to help keep the air moving. The fans featured dimmable light kits in addition to the chandelier hanging from the center beam for lighting and ambiance. 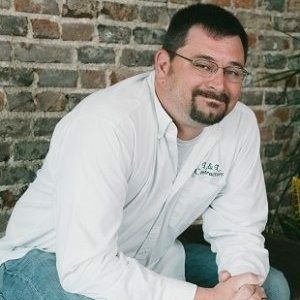 Project Manager Ray Cearing and our customer were thrilled with the completed project. All the finishes, products, and colors tied in perfectly to create the secluded get-away they’d imagined. Even the smallest details were addressed, down to the new doorbell button trimmed with cedar! At L&L Contractors, we can bring your renovation dream to life! Contact us today to schedule a consultation.